Nearly one year after ending her engagement to John Cena, Nikki Bella is just trying to have some fun. 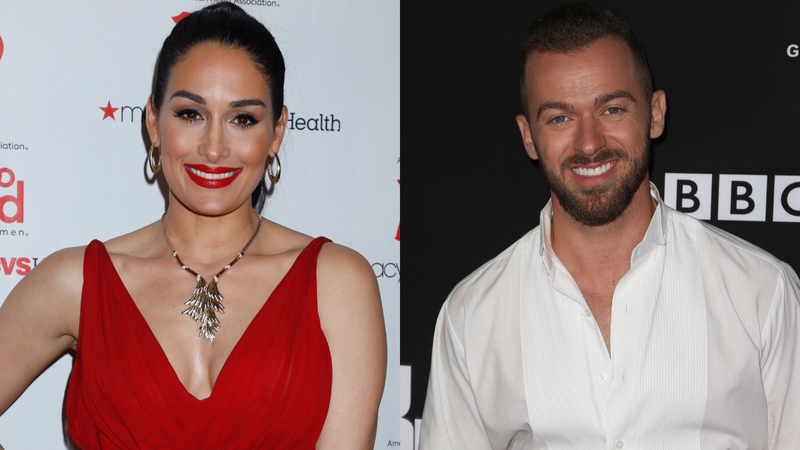 On Wednesday, the Total Bellas star confirmed rumors that she is dating her former Dancing with the Stars partner, Artem Chigvintsev — but it’s not that serious. Bella addressed the claims on the premiere episode of her new podcast with her twin sister Brie Bella, titled simply, The Bellas. Three days before the sisters’ podcast launched, Bella posted a sweet photo of her kissing Chigvintsev on the cheek. In her caption, she teased the premiere episode of The Bellas, saying, “Well after that season finale… First thing I’ll be talking about this Wednesday… oh and all those paparazzi photos (thanks for all the great shots and smashing my food lol).” She included one embarrassed emoji and two eye-rolling emojis for effect. In the season four finale of Total Bellas, which aired on Sunday, Bella and Chigvintsev ride off into the sunset on his motorcycle. The pair first met when they danced together on season 25 of Dancing with the Stars in 2017.